New private equity firms took home a smaller share of total assets in 2017 as more investors said they would not allocate to first-time funds. 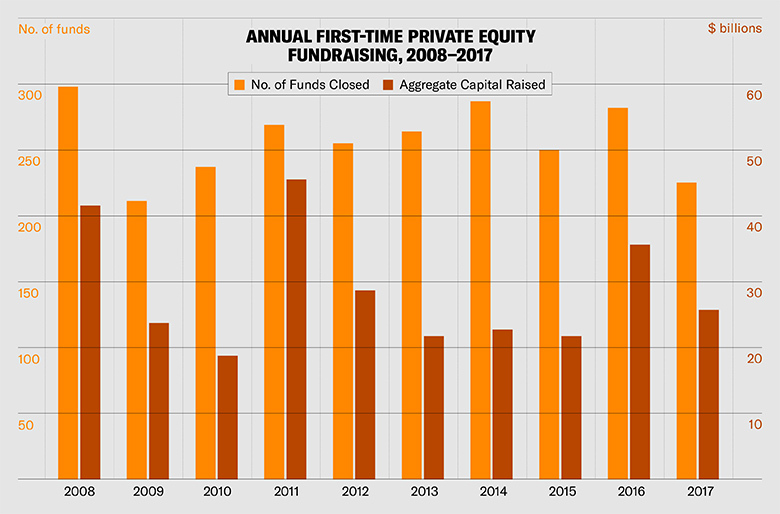 First-time funds accounted for just 6 percent of last year's record private equity fundraising, as newcomers closed the smallest number of funds since 2009. 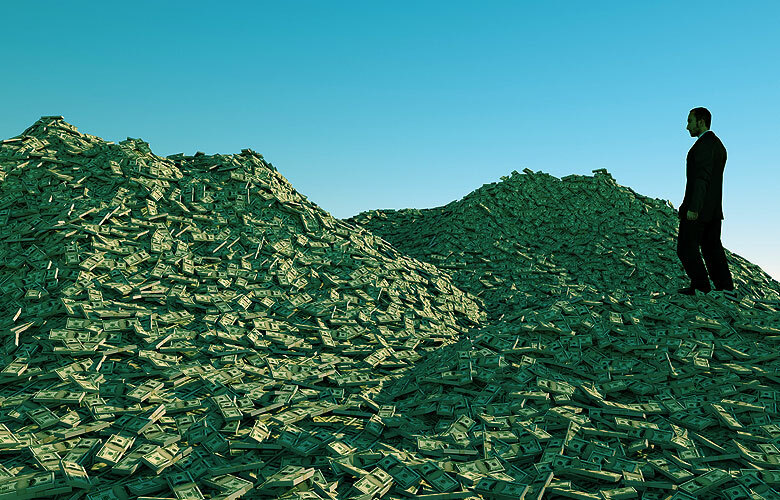 According to data firm Preqin, first-time managers raised $26 billion across 226 funds in 2017, down from the $36 billion hauled in by 283 first-timers in 2016. This drop in first-time funds is in part a reflection of fewer fund closes overall: Preqin tracked just 921 closes in 2017, down from 1,243 the year before. In fact, last year first-time funds accounted for a quarter of all fund closes, up from 23 percent in 2016. Over the last decade, however, investors have been giving less money to new managers. Even though the average size of new funds has swelled, from $96 million in 2010 to $131 million in 2017, these funds have not kept pace with established peers. Since 2013, new funds have accounted for less than 10 percent of total annual private equity fundraising, as more limited partners avoid investing in first-time funds. "In line with LPs’ recent views on the importance of track records when sourcing funds, 41 percent of investors will not invest in first-time funds," the Preqin report stated. This is up from the 37 percent of surveyed investors who said the same in 2012. 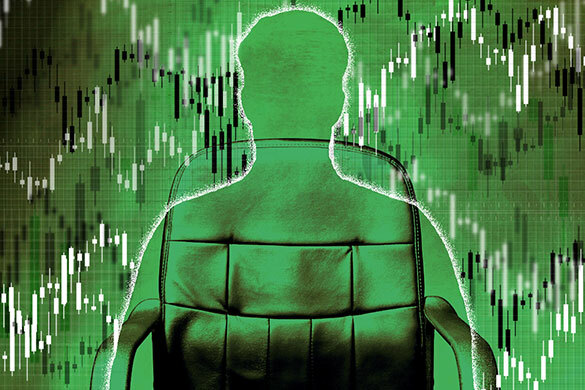 A third of investors surveyed by Preqin at the end of last year said they would invest with new managers, while 16 percent said they would consider doing so. Meanwhile, 10 percent said they’d invest in first-time funds only if the funds had spun-off from an established firm. According to Preqin, investors shouldn't be so cautious: Data from the firm showed that first-timers had higher median net internal rates of return than their more-experienced peers in ten of the fifteen vintage years since 2000. 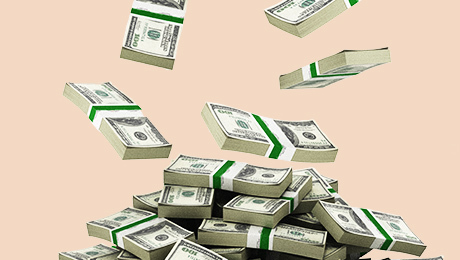 Within private equity, Preqin found that first-time venture capital funds were better off than buyout peers, raising $11 billion and accounting for 42 percent of all capital raised by new firms. But it was a first-time buyout firm that managed to raise the most capital for a newcomer in 2017. According to Preqin, the highest first-time fundraise in 2017 was by buyout firm Core Equity Holdings, which raised €1 billion, or $1.2 billion. Baidu Capital, a Chinese venture capital firm, took the second-place spot, having raised 7 billion yuan, or $1.1 billion, according to Preqin.